National attention tends to focus on teens and car accidents. 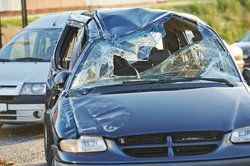 However, seniors are also more likely to be involved in auto accidents, and they are also more likely to suffer serious injury or death as a result of a car accident. At the law firm of Edward Deason in Torrance, we represent those who have been injured in auto accidents. Whether you are the victim of an accident caused by a senior, or you are a senior who has been involved in an accident caused by another’s driver’s negligence, we offer compassionate and aggressive legal guidance. Older drivers across the country are understandably reluctant to give up their driving privileges, and many seniors can still drive safely. Therefore, it is difficult to impose blanket age restrictions on driving. Some feel that there should be stricter rules for license renewal for seniors, and that car and road modifications should be made to improve safety. Researchers at Carnegie Mellon University looked at the relationship between advanced age and car accidents. According to the researchers, fatal car accidents increased after age 65. Between the ages of 75 and 84, senior drivers and teens have a comparable fatality rate. After age 84, senior drivers are four times more likely than teens to be killed in an auto accident. According to the Insurance Institute for Highway Safety (AIIHS), senior accidents are at an all-time low. They have decreased by 46 percent since 1975. Nevertheless, the Institute urges further action. Experts are working on tests that will identify high-risk senior drivers. However, the tests should not falsely target older drivers who are still capable of driving safely. In the meantime, more thorough screening for senior drivers may cut down on car accidents. Here in California, we take a more proactive stance than other states. Drivers over 70 must renew their licenses in person at the DMV. Additionally, new technology, such as electronic stability control and adaptive headlights, may help. Further, the AIIHS urges road modifications. Improvements include better road signs and markings, left-turn traffic lanes, and roundabouts. Initial studies indicate that these changes can significantly reduce the rate of senior auto accidents. If you or a loved one has been injured in a car accident involving a senior, you may be entitled to compensation. Older drivers often have compromised mobility. However, they can still be held legally responsible. Additionally, in some cases, there may be other parties that share responsibility. For example, a doctor may fail to recognize obviously impaired physical or mental abilities. In other cases, someone may loan a car to an unfit senior driver. Ultimately, the only way to determine full legal responsibility is to talk to an experienced car accident lawyer. Attorney Edward Deason offers compassionate, yet aggressive, legal representation. Contact our firm today and take the first steps toward obtaining the compensation you deserve.